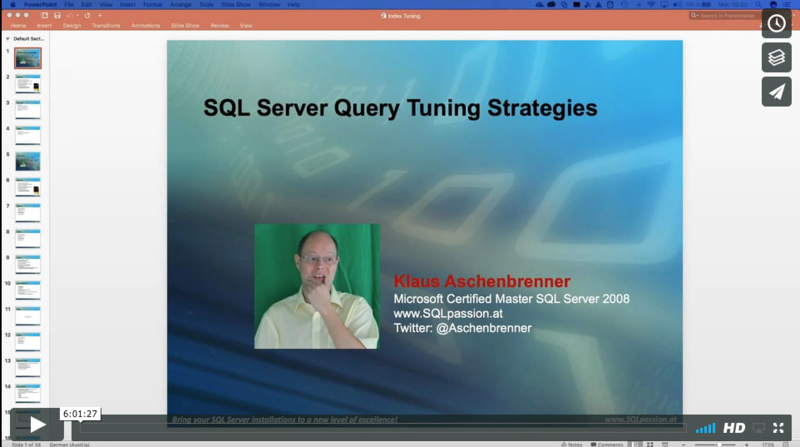 If you want to become a SQL Index Tuning Expert you can buy now this 6 hour long deep-dive webinar for only EUR 490 + 20% VAT. This 6 hour long webinar is primarily for DBAs, Developers, and Consultants who want to speed up their SQL Server installations with Indexes. You don’t need to know anything about Indexing, you just need to have a basic understanding how to write T-SQL queries and stored procedures for SQL Server.